This year, the autumnal equinox takes place the day before Sukkot, the Feast of Booths in Judaism. We’re commanded to eat outside in the sukkah for eight days; soaking up the last bit of the golden summer sunshine while dining alfresco. It’s a commandment I can easily get behind! 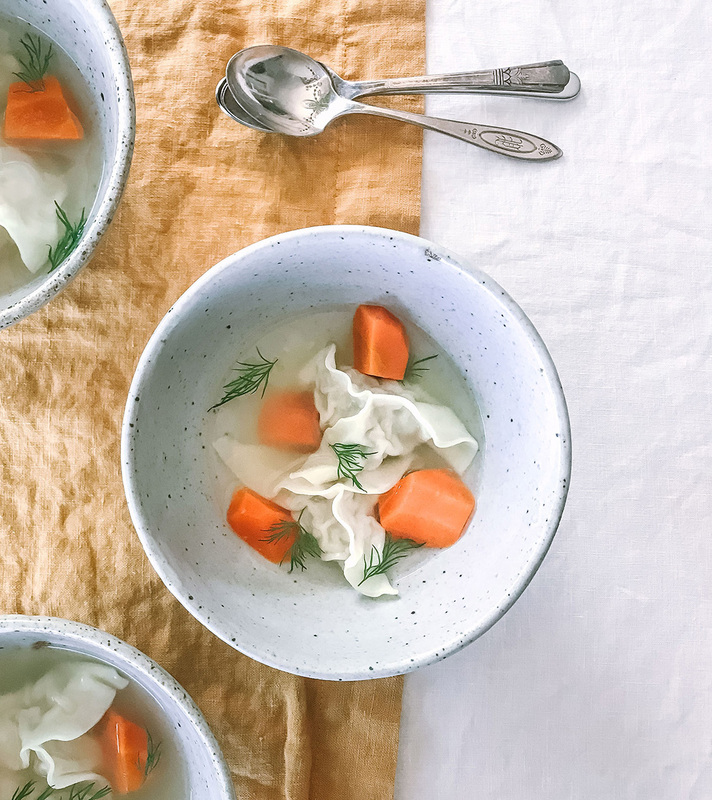 There aren’t many traditional foods eaten over Sukkot, though chicken soup, kugel and challah are mainstays on my Ashkenazi Jewish husband’s family’s holiday table. Other than that, Sukkot menus are designed around harvest-related produce and foods that are practical to eat outside in the fall. 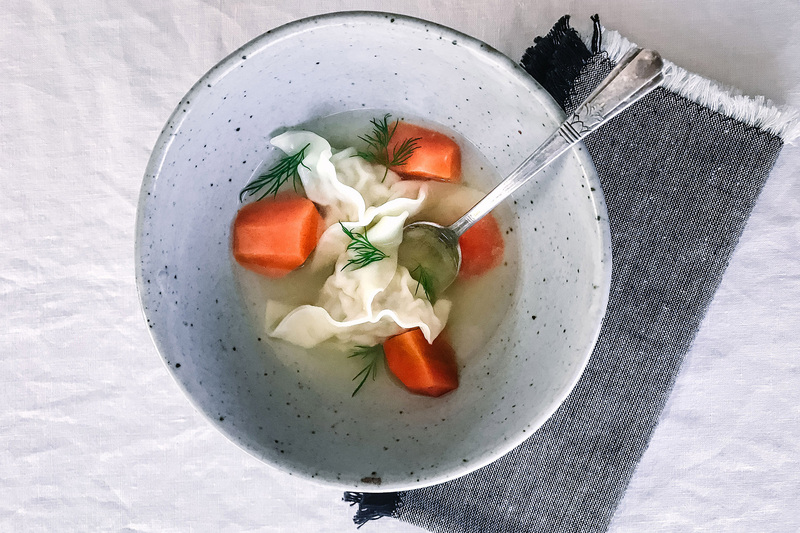 Kreplach soup has been known to be very time-consuming. 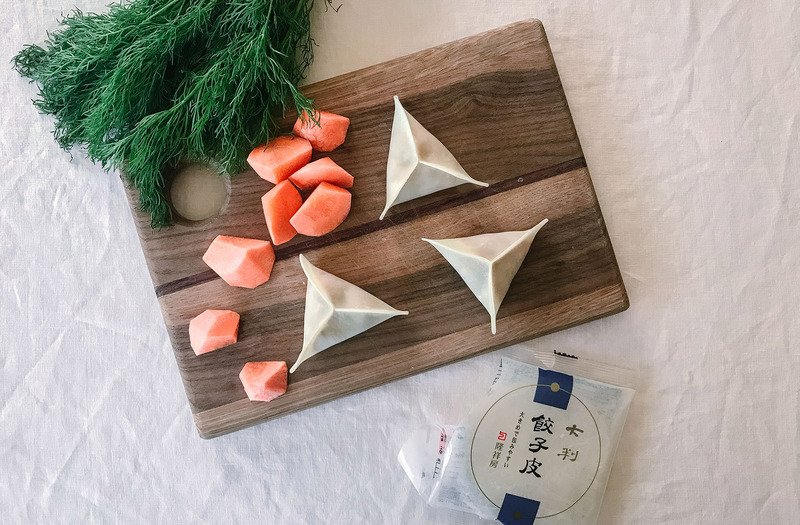 My addition of store-bought gyoza wrappers cuts the time more than in half, so you can spend more time outside with your family and friends. Place about 1 ounce of the meat filling in the center of a gyoza wrapper. Seal the outside edges with water. Completely seal into a triangle shape (see below image). Make sure there are no holes in the seal so the filling doesn’t seep out. 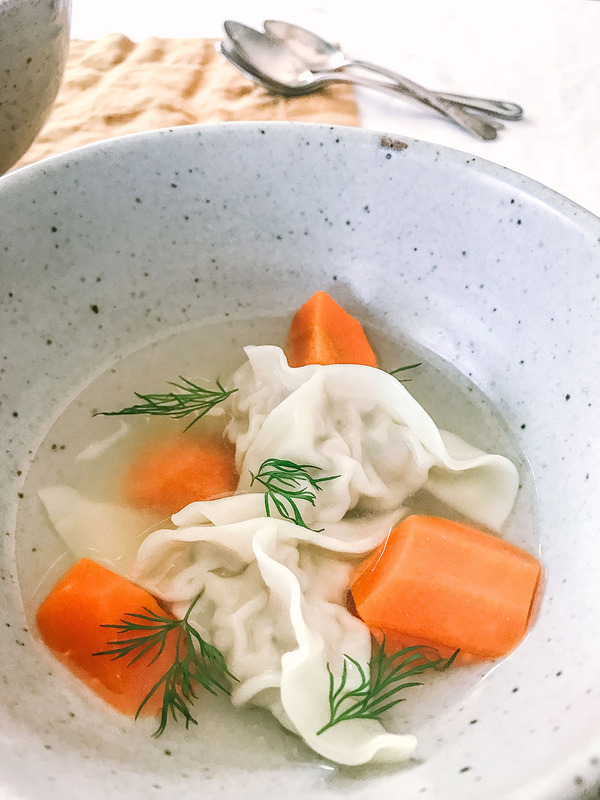 Place each gyoza carefully in the broth, making sure they don’t stick to the bottom of the pot. Turn up the heat to medium-low and allow the dumplings to cook for five minutes, or until the filling feels firm. Garnish with dill and serve immediately. ** Be careful not to let the gyoza sit in the soup too long. The wrappers are quite delicate and can start to break down if they are left too long in the broth.